I’m the president of a colony at my school. My school’s fraternities run small about 20 to 30. We’re currently at 18 after one month on campus. We just got a house this summer. The sororities love us, and we have plenty of people wanting to rush. The newer guys we’ve brought in a far better quality then many of the original brothers. However, the original 10 to 12 guys are pieces of work. I love them and I know we’ll do anything for one another when push comes to shove. But getting them to do simple things like help clean the house after a party can be difficult to impossible. Also the major work; rush, fundraising, charity, and the house, is run almost completely by 5 guys. Now I need to get all the original guys to do what is required of them. Also it was agreed that we were all going to put ourselves through all our own new member events before we take in another new member class. How do you think we can effectively go through 12 events in a month, before taking a new member class in the beginning of October while keeping a social agenda running to rush and keep sororities and ourselves happy? Your story is very typical of colonies. Normally, there is a big rush of enthusiasm with the alpha class. It is easy to get guys to join, because everyone is on level footing and no one quite knows what they are getting into. It is also cool to be part of starting a new fraternity. However, after that first year many colonies realize that there are brothers who really don’t belong. Most of the time the brothers in question will realize that the fraternity isn’t right for them, and will quit on their own. Your story is a little different though. It looks to me that you don’t have a very clear understanding of what your fraternity is all about, and what your brothers want. This could be causing the issues you bring up. Having events after events makes the fraternity seem like work, especially if it isn’t what the brothers want to do. If you deem all these events you have planned mandatory, then I can assure you that a faction of the brotherhood will blow them off. My suggestion #1 – find out what your brothers really want out of the fraternity. Talk to each one individually and in groups. 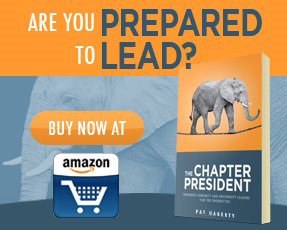 Make it the focus of your chapter meetings. Find out what the brothers want and make fulfilling their wants the goal of your leadership team. Once the brotherhood comes up with an agreement what the fraternity is all about, make sure each brother realizes their responsibility. If there are brothers who do not share the vision or refuse to meet their obligations, expel them. 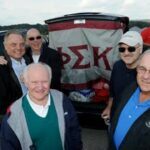 They are a cancer to your fraternity and have to be removed quickly before it spreads. Suggestion #2 – DO LESS! Your colony sounds like work. Think about it from where your brothers sit. They have class, jobs, girlfriends, other student organizations and other friends. However, the schedule they have for the fraternity probably takes more time than all that combined. An interesting thing will happen when you start doing less. The brotherhood will become more excited and start really looking forward to fraternity functions. This enthusiasm will make accomplishing all your goals much easier. Suggestion #3 – Don’t put yourself through your new member program. You are just wasting time. Focus on having a quality new member program where your focus is teaching your new members how to be good brothers. Eliminate hazing and make if fun for all involved. I actually detail how a new member program should be run in my book, and I highly suggest checking it out (The Fraternity Leader). It sounds like you have a ton of positives going on in your colony. It won’t take much for you to make it to that next level. As always, very good advice Dennis. I think a retreat is a great idea as long as the person running it has a good handle on how to lead the fraternity in that conversation. Also, I know David Stollman. He is as good as it gets with his knowledge of Greek organizations. His presentations are a must see for every Greek leader. I don’t think you’re as far gone as this guy tries to address, but you’ll get there if you don’t set the right foundation now. He corroborates a lot of what both of us said. Don’t worry that 5 guys are doing all the heavy lifting. That’s typical of chapters 4-5 times your size, and doesn’t necessarily relate to the positions they hold. It’s just a personality thing. You should be empowering other brothers to take lesser leadership roles that they can get excited about and feel like they’re making a contribution while lifting some of the weight off your shoulders, but ultimately it probably will stay 5 guys really leading the way behind the curtain. Suggestion #1 above is important. A retreat is another good way to accomplish a lot of that in one swoop. What you have to understand is an established fraternity would already have all that figured out. They’d be similar guys with similar backgrounds/beliefs and pretty much on the same page about what the fraternity means and what their short, mid, and long-range goals are. In rush, they’d just recruit people that already fit that mold. As a colony, you didn’t have that. You were probably a diverse group of people and clearly don’t understand the fraternity or what you’re trying to make of it even in the short term. Even by agreeing on a shared vision you’re still going to lack a lot of unity of purpose that comes with a more mature chapter. You have to try to knock out the big problems and understand you’re not going to be perfect on this for many years. Suggestion 2 & 3 are a little more difficult. A fraternity is work, especially in the colony process, but it shouldn’t seem like it most of the time. You have to keep it light hearted and fun for the members, even during the non-social aspects. People get paid for jobs, they don’t pay for the privileged of having one. As much as we like to think people pay dues because they love the fraternity, it is a business. You need to think of it like you need to provide a return to each member that’s worth the more than the amount they’re paying in dues/fees. Obviously you have to spend some of that on mandatory expenses, so you have to be creative and apply some elbow grease to make up the difference. As far as doing the whole pledge program, don’t. You do need to learn about the fraternity, and it’s not bad to rehearse how you’ll do business when you have pledges, but don’t over do it. 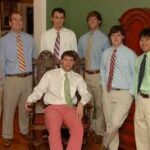 The written pledge program is ultimately a learning process that occurs underneath a much more important mentoring relationship between actives and pledges. You don’t have those experienced and knowledgeable mentors. It’s like not going to class all semester, reading the book, and then showing up for the final. Look over the stuff, prioritize, and do a little bit, but don’t over task yourself. You already have far too much to do in your colony process to start adding such an ambitious agenda. As far as the member issue, two things. First, as you hone your identity through suggestion one and time, the people that don’t fit that mold will move on. Second, it’s a colony. I’ve seen a colony sign up 80 people & then kick 30 out the next semester. It’s a work in progress. Your retention isn’t going to be good. As your identity focuses, if the people left out don’t change or leave on their own then there may be a point where you need to part ways with a few. You have a recruiting angle right now being new. Your guys are fired up about rush. You just need to keep improving quality and growing numbers to overcome the negative retention. You should have a solid stable base and most of this worked out by the time you charter. It’ll continue to get better over time. Good luck!